Fiber Flux: Book Review & Giveaway...Crochet Kaleidoscope by Sandra Eng! 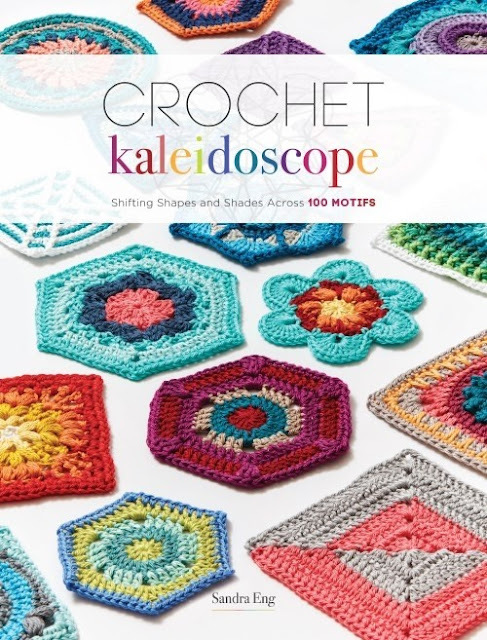 Book Review & Giveaway...Crochet Kaleidoscope by Sandra Eng! I have a fabulous review & giveaway for you today lovelies! 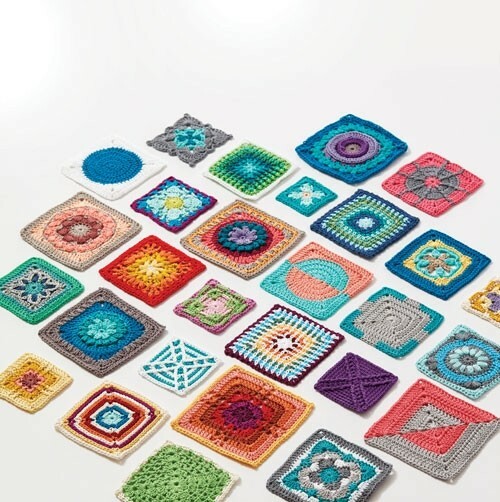 I was recently able to check out Crochet Kaleidoscope by Sandra Eng (ISBN: 978-1-63250-613-9, Interweave F+W). 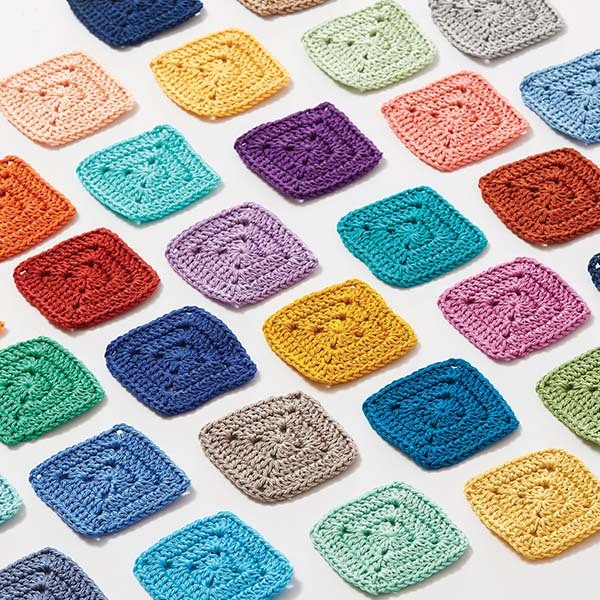 One of the most awesome things to crochet are motifs! The very first thing I ever made was a classic granny square motif. They range in size, shape, can be a solid color or many colors. They can be used singularly or joined together to create other items such as blankets and other beautiful items. They are also super portable and a great way to use up yarn from your stash. 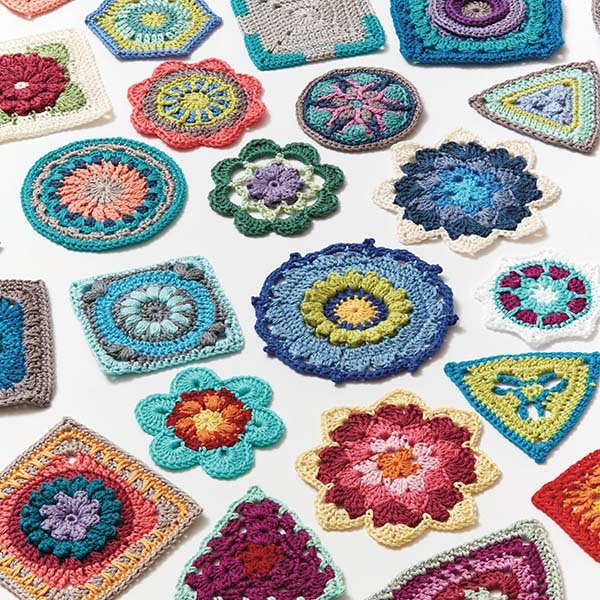 Crochet Kaleidoscope combines author Sandra Eng's love of crochet and love on geometry into one gorgeous book! The book actually can be divided into three distinct parts...a color theory and design section, comprehensive charts, color wheels, and a crash course in color terminology. The second section of the book contains an eye popping 100 different motifs, including circles, squares, hexagons, and triangles. Each motif has a a written pattern, full chart, special notes, and finished size. With your newfound expertise in motif making, head to the back of the book where you'll find full projects incorporating the motifs found in the book. Check out the photo above for a sampling of some of the things you can make...so pretty! The variety of motifs in this book is astonishing and the possibilities are truly endless when you're ready to spring forward and create a project of your own. From modern simplicity (check out that pillow below!) to the more complex, this book has you covered. 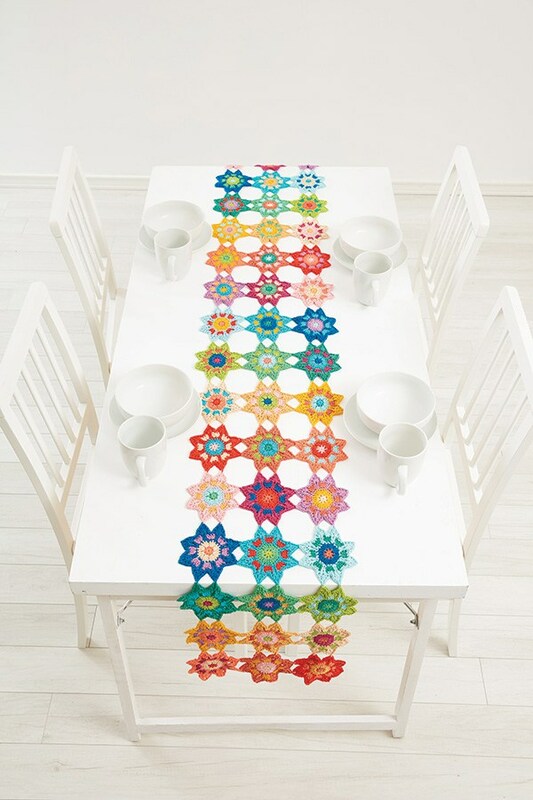 My absolute favorite project and motifs in the book would hands down be this gorgeous "Zinnia Table Runner" It just screams happy! If you love to crochet, this book is definitely a must have! Now is you chance to win a copy of your own! Enter to win using the Rafflecopter below (sometimes it takes a moment to load). Giveaway ends March 20th and is open worldwide. Now go, go, go, and enter!!! I love the zinnia tablerunner! Love the shawl with the flower motif. I really like the pillow. So, many fun color combos in this book. My favorite pattern is absolutely the table runner, I would love to create it for my home. This book does have some beautiful pictures that make me want to crochet them all. Thanks for the chance to win this book! I love anything with flowers or mandala type designs. Thank you for a chance to win this book. It looks like it is full of great ideas. I don't think I could pick just one thing.....it's all about the COLOR for me. The more colors the better. I’m always looking for new motifs to turn into baby blankets! This book is perfect! Love so much Sandra´s work!! I would love to have her book. Every piece for sure is amazing to make sooo many different projects. Thanks a lot for the chance! Thank you so much for providing a review for this book! I've started making motifs to sit under my houseplants. 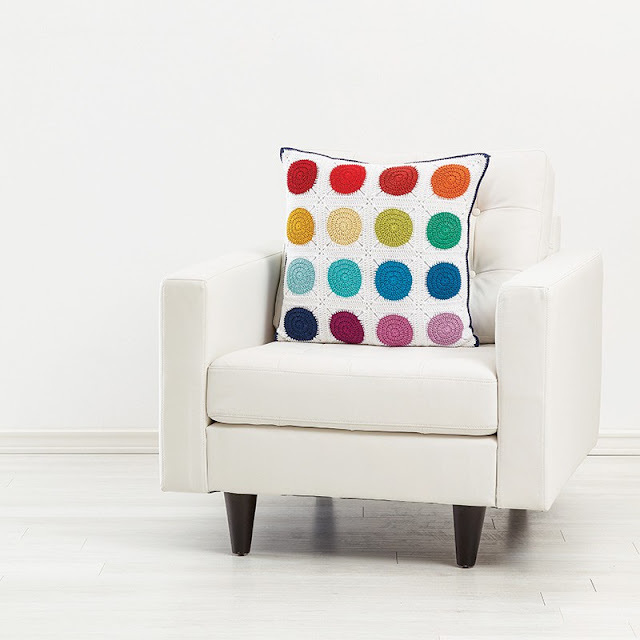 It adds a little bright cheerto the room and keeps any spilled water off the furniture. I'm all about practical beauty! Love the table runner! Its so bright and cheerful! Love it! I love that gorgeous pillow and the table runner! Time for me to win something, my birthday is coming!!! !